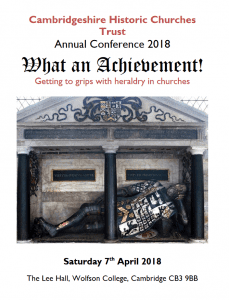 In 2018 the conference will be on Saturday 7th April, again at Wolfson College. 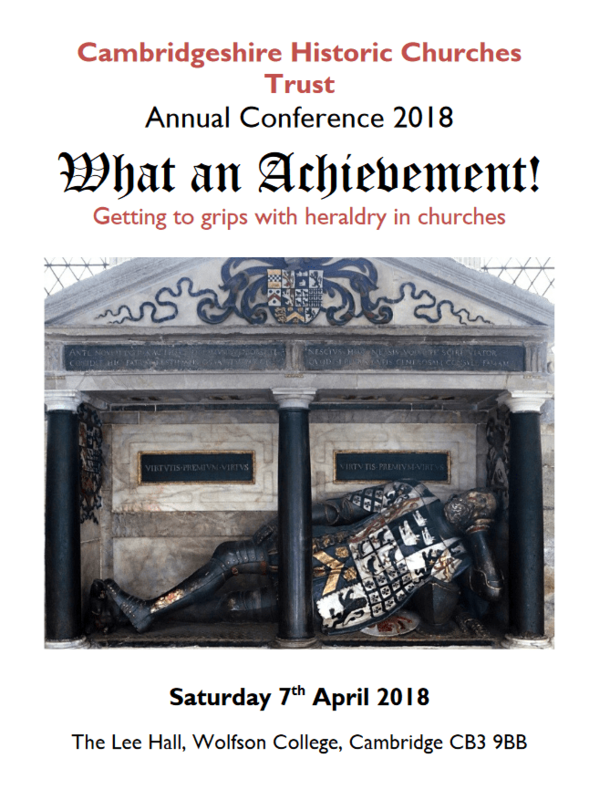 Under the title “What an Achievement” it will look at heraldry in churches. 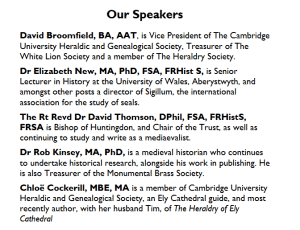 After a general introduction to the subject it will include sessions on heraldic seals, brasses, and the heraldry to be found in Ely Cathedral. Our Chair of Trustees, the Rt Revd Dr David Thomson, Bishop of Huntingdon, will talk about the intriguing history of the east window in All Saints’ Landbeach. He will also lead the usual session dealing with the work of the Trust. 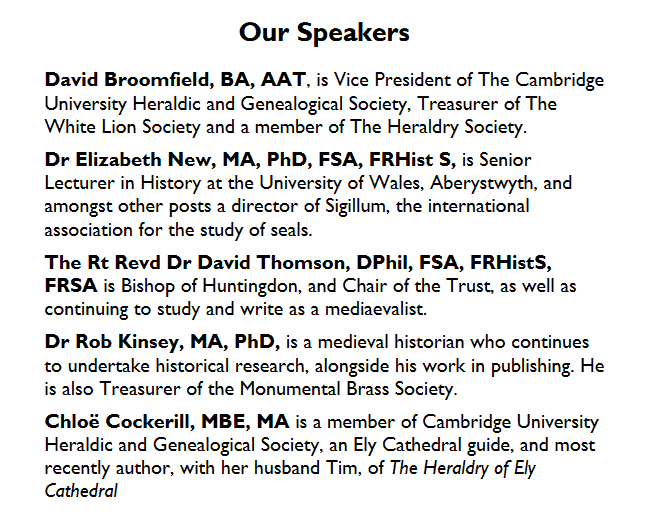 For full details see Conference Brochure. To book places, download Booking Form, which you can either complete on screen and email to us, paying by BACS transfer, or print and send by post with your cheque.